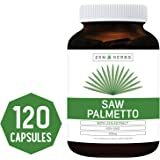 Sold by PetWellbeing Inc. and Fulfilled by Amazon. Gift-wrap available. Fulfilment by Amazon (FBA) is a service Amazon offers sellers that lets them store their products in Amazon's warehouses, and Amazon directly does the picking, packing, shipping and customer service on these items. Something Amazon hopes you'll especially enjoy: FBA items are eligible for and for Amazon Prime just as if they were Amazon items. If you’re a seller, Fulfilment by Amazon can help you grow your business. Find out more about the programme. Pick up your parcel at a time and place that suits you. How to order to an Amazon Pickup Location? DOCTOR FORMULATED: Provides a combination of over 20 proven, full-spectrum and standardized herbs and nutrients. 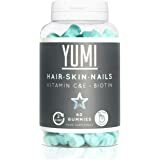 THE ULTIMATE HAIR SUPPLEMENT: Supplies/seeds your follicles with the proper nutrients they need to stay healthy. 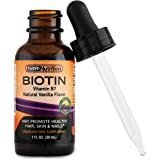 HAIR ESSENTIALS: Uses a powerful combination of herbs that work to encourage normal DHT levels within the hair follicles. CLINICALLY TESTED: Helps reduce the amount of hair loss/shedding/thinning and Increase hair coverage on scalp. There was a problem completing your request. Please try your search again later. Unless expressly indicated in the product description, Amazon.co.uk is not the manufacturer of the products sold on our website. While we work to ensure that product information on our website is correct, manufacturers may alter their product information. Actual product packaging and materials may contain more and/or different information than shown on our website. If you have any specific product queries, please contact the manufacturer. This notice does not affect your legal rights. For medicinal products, content on our website is not intended to be used to diagnose, treat, cure, or prevent any disease or health condition or to substitute advice given by medical practitioners, pharmacists or other licensed health care professionals. You should contact your health care provider immediately if you suspect that you have a medical problem. You should always read the labels, warnings and instructions provided with the product before using or consuming it and not solely rely on the information presented on our website. 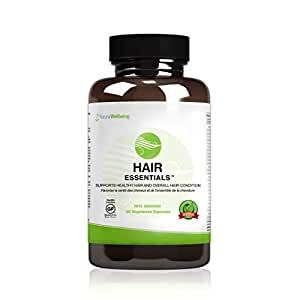 Founded in 2001, Hair Essentials has grown from a single, award-winning and clinically tested supplement, to offering a complete range of natural products for beautiful, healthy hair. Formulated by professional herbalists, our products combine the best of modern science and traditional wisdom, with the purest of ingredients. The result? 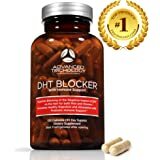 The most effective products available! Nature is our inspiration. We believe that nature holds the answers to many issues facing our planet today, including our health. Hair Essentials harnesses the healing properties of herbs and nutrients to create products that help you achieve beautiful, healthy hair. Naturally. A product can only be as good as its starting materials. Each premium ingredient in Hair Essentials' products is meticulously tested for purity and potency. A 90-day program is recommended to begin. How does Hair Essentials work? First, it targets DHT, a hormone found in all men and women. Too much DHT causes the hair follicles to shrink at a faster rate than normal. This causes the hair shaft to weaken, break, and eventually fall out. Hair Essentials uses a powerful combination of herbs that work to encourage normal DHT levels within the hair follicles. 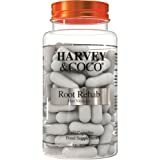 Next, Hair Essentials supplies/seeds your follicles with the proper nutrients they need to stay healthy. 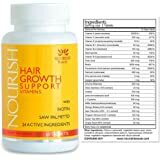 These nutrients are quickly absorbed into the bloodstream where they nourish and maintain overall hair health. The result? Healthier, more beautiful hair! Delivery Destinations: Visit the Delivery Destinations Help page to see where this item can be delivered. Would you like to tell us about a lower price? What other items do customers buy after viewing this item? 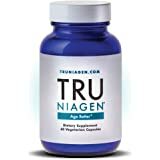 I’ve used this product for 4 months taking 3 capsules per day. But my hair keep thinning and I know soon or later there will be no hair at the top of my scalp. My dad had no hair at the top of his head and since baldness is hereditary I know soon I’ll be like my dad. I decided to try this product because of the positive feedback it has. But it had no effect on me. This is the second supplement product I’ve tried. The previous one was the Euramin. 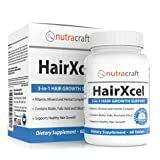 To be honest I don’t believe there is a supplement product out there that stops hair loss. Drugs such as minoxidi do work but you have to take them for life and of course they come with side-effects. I think the best way to combat hair loss or even baldness without any use of drugs or even supplements is the hair transplant but it’s costly in the west unless you have it in an eastern country where the cost is considerably low. Really awesome product, very effective , I have started seeing the results in 15 days. 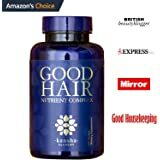 I would definately recommend this product to use at least of three months period and you will see the different amaizing changes with your hair growth and thickinnes. 3.0 out of 5 starsAfter one month of usage. Would you like to see more reviews about this item? Disclaimer: While we work to ensure that product information on our website is correct, on occasion manufacturers may alter their ingredient lists. Actual product packaging and materials may contain more and/or different information than that shown on our website. All information about the products on our website is provided for information purposes only. We recommend that you do not solely rely on the information presented on our website. Please always read the labels, warnings, and directions provided with the product before using or consuming a product. In the event of any safety concerns or for any other information about a product please carefully read any instructions provided on the label or packaging and contact the manufacturer. 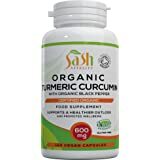 Content on this site is not intended to substitute for advice given by medical practitioner, pharmacist, or other licensed health-care professional. Contact your health-care provider immediately if you suspect that you have a medical problem. Information and statements about products are not intended to be used to diagnose, treat, cure, or prevent any disease or health condition. Amazon.co.uk accepts no liability for inaccuracies or misstatements about products by manufacturers or other third parties. This does not affect your statutory rights.